We kind of already knew this without any official analytical data, but now Strategy Analytics has released a report making it essentially official. We have seen a lot of ambiguous claims from Microsoft with few hard numbers over the past several months, but this third party report vindicates the claims. Now with BlackBerry 10 unleashed, the stage is set to see how the market will shake out for the rest of 2013. We will see those reports come from Europe and Canada first, only because BlackBerry’s Z10 will not be available in the United States until the latter part of March (at the earliest apparently). While Canada seems like it would be a slam-dunk for BlackBerry, we would not guess that success is guaranteed. We are not going to draw on any official data here, but simply point out that Microsoft’s head start in time for the holiday shopping season, and solid hardware offerings from the manufacturers may pose a significant challenge to BlackBerry. That said, the reported strong start for the BlackBerry Z10 is an encouraging sign for the “inventor” of the smartphone. The report also points out that for the first time, Android lost market share in annualized terms. You know what that means right? 2013 is going to be a great year for wireless. We have the big players all in the game again, plus we will see Sailfish make a debut this year. Does this mean we will see massive shifts in the market this year? No, but it will indicate how people receive alternatives to the two gorillas in the room, iOS and Android. The “pie” is getting bigger, but also getting saturated, so the challenge to the manufacturers and software platforms is to change how people eat their pie. wpcentral only posted a pic of the 2 flagship phones for each platform. most sites do that. Not to get to excited and keeping there hopes high, Nokia users will be merging to more open source, due to Symbian was unrestricted! 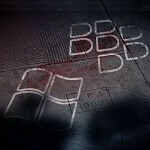 WP8 will tumble, and this will be good news for Android and iOS fans, users. Yea more like it will be bankrupt, RIP. Yes, a neat trick for a company with over $14 Billion per year in free cash flow. WP8 is slick, robust, developer friendly, and has an insane amount of potential. Let's hope it keeps up the momentum. Give it a quarter or 2 and Blackberry will be beating Windows again. No worries! This is a temporary condition. Yea temporary as it will be 3rd soon. According to another article....all this stuff Strategy Analytics posted is wrong: http://www.phonearena.com/news/Apples-iOS-cuts-gap-with-Android-in-latest-comScore-data_id39540 Someone is wrong. My money is on comScore being right. Windows Phone needs to get its shinola together regarding XBOX games and videos for WP8. The former is releasing new titles at a snail's pace and the latter is non-existant. Even Blackberry has a video store now.